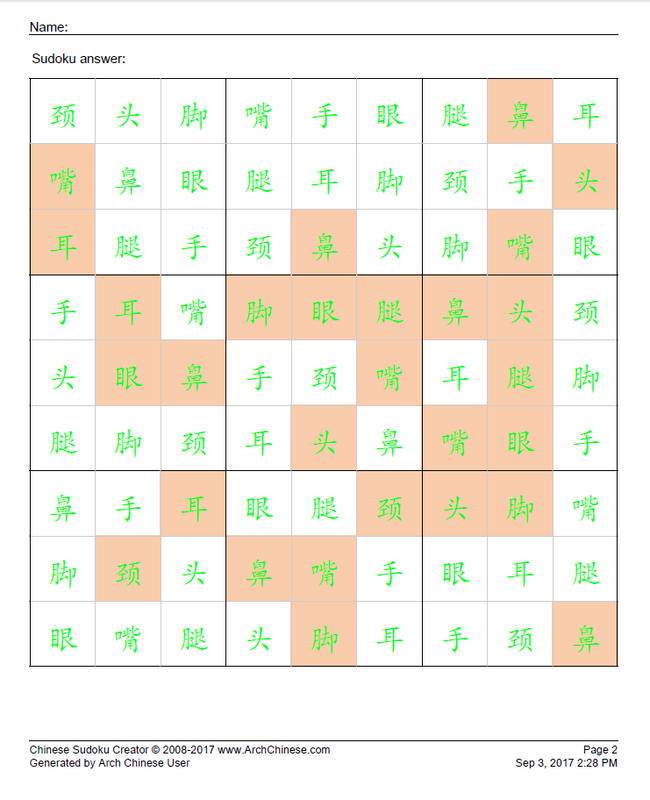 Sudoku is one of the most popular puzzle games of all time. 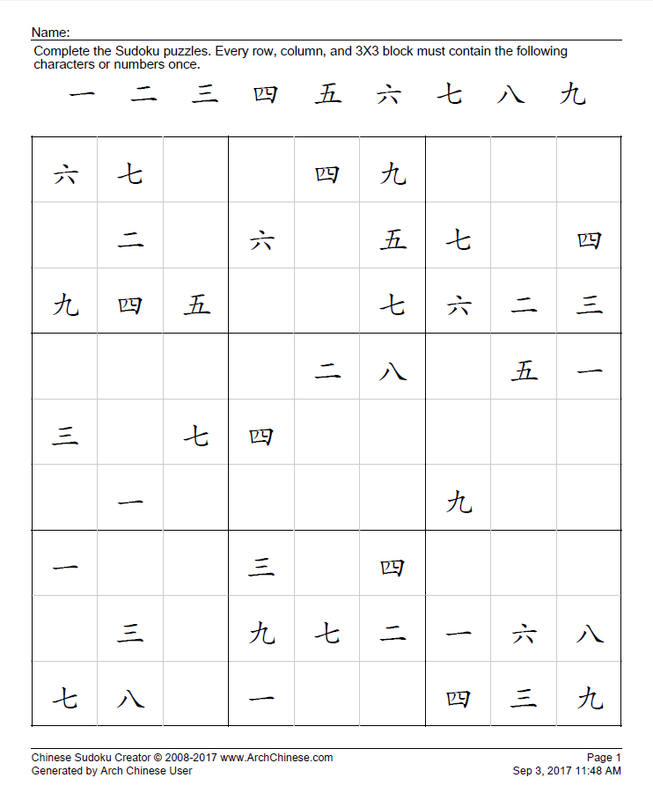 The goal of Chinese Sudoku is to insert the Chinese numbers 1 to 9, or any 9 unique Chinese characters, into a grid consisting of 9 blocks subdivided into a further 9 smaller blocks in such a way that every number or character appears once in each horizontal line, vertical line, and 3X3 block. 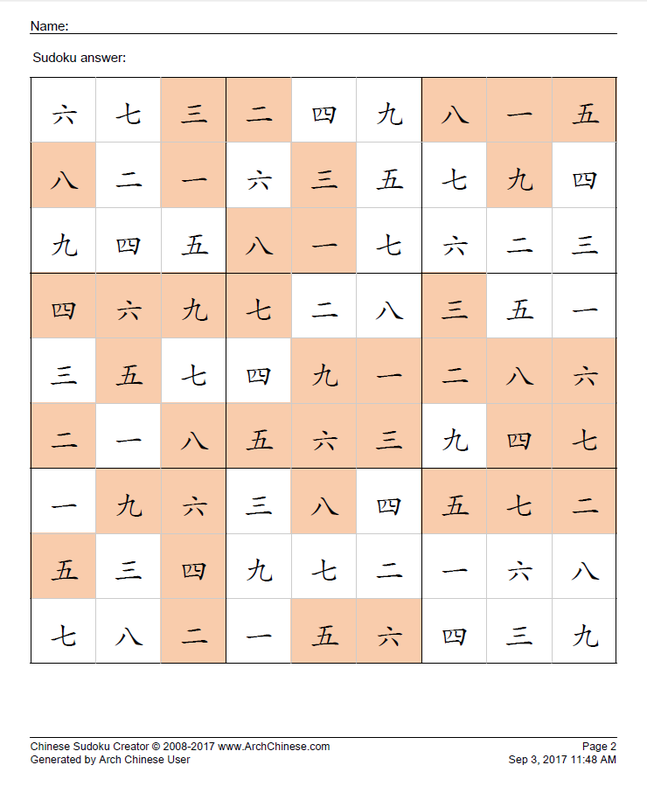 Before you hit the Create Sudoku button to generate a Sudoku puzzle, you can adjust the puzzle difficulty level and enter the 9 Chinese characters you want to use. 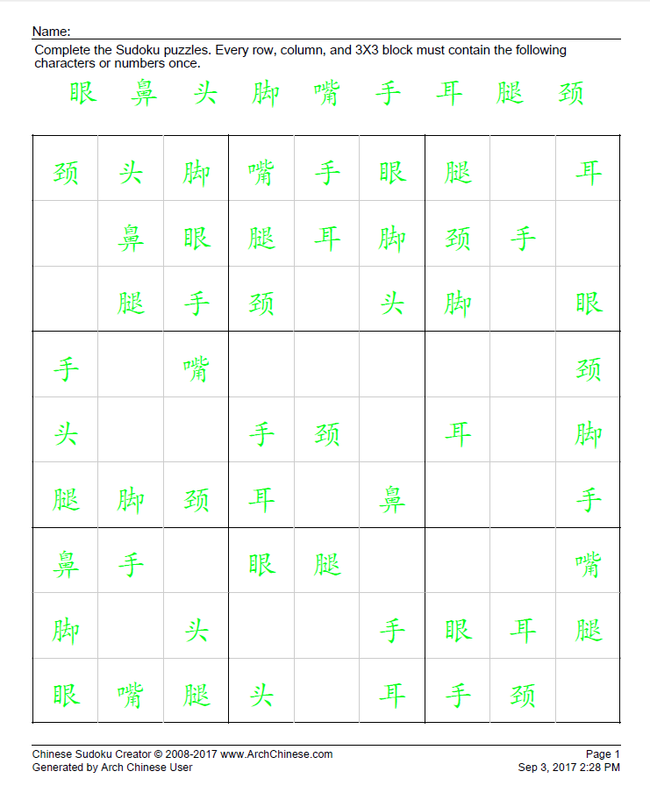 By default, the system uses the Chinese numbers 1 to 9 and the difficulty level is set to easy.